§ 105-1. Title and purpose of Subchapter. Article 1 - Inheritance Tax. §§ 105-2 through 105-32: Repealed by Session Laws 1998-212, s. 29A.2(a), effective January 1, 1999, and applicable to the estates of decedents dying on or after that date. Article 1A - Estate Taxes. § 105-32.1: Repealed by Session Laws 2013-316, s.7(a), effective January 1, 2013, and applicable to the estates of decedents dying on or after that date. § 105-32.2: Repealed by Session Laws 2013-316, s.7(a), effective January 1, 2013, and applicable to the estates of decedents dying on or after that date. § 105-32.3: Repealed by Session Laws 2013-316, s.7(a), effective January 1, 2013, and applicable to the estates of decedents dying on or after that date. § 105-32.4: Repealed by Session Laws 2013-316, s.7(a), effective January 1, 2013, and applicable to the estates of decedents dying on or after that date. § 105-32.5: Repealed by Session Laws 2013-316, s.7(a), effective January 1, 2013, and applicable to the estates of decedents dying on or after that date. § 105-32.6: Repealed by Session Laws 2013-316, s.7(a), effective January 1, 2013, and applicable to the estates of decedents dying on or after that date. § 105-32.7: Repealed by Session Laws 2013-316, s.7(a), effective January 1, 2013, and applicable to the estates of decedents dying on or after that date. § 105-32.8: Repealed by Session Laws 2013-316, s.7(a), effective January 1, 2013, and applicable to the estates of decedents dying on or after that date. Article 2 - Privilege Taxes. § 105-33. Taxes under this Article. § 105-34: Repealed by Session Laws 1979, c. 63. § 105-35: Repealed by Session Laws 1979, c. 72. §§ 105-36 through 105-37: Repealed by Session Laws 1996, Second Extra Session, c. 14, s. 17. § 105-37.1: Repealed by Session Laws 2013-316, s. 5(a), effective January 1, 2014, and applicable to gross receipts derived from an admission charge sold at retail on or after that date. § 105-37.2: Repealed by Session Law 1998-96, s. 3. § 105-38: Repealed by Session Laws 1999-337, s. 14(b). § 105-38.1: Repealed by Session Laws 2013-316, s. 5(a), effective January 1, 2014, and applicable to gross receipts derived from an admission charge sold at retail on or after that date. § 105-40: Repealed by Session Laws 2013-316, s. 5(a), effective January 1, 2014, and applicable to gross receipts derived from an admission charge sold at retail on or after that date. § 105-41. Attorneys-at-law and other professionals. § 105-41.1. Repealed by Session Laws 1975, c. 619, s. 2, effective October 1, 1975. § 105-42: Repealed by Session Laws 1996, Second Extra Session, c. 14, s. 17. § 105-43. Repealed by Session Laws 1973, c. 1195, s. 8. § 105-44: Repealed by Session Laws 1981 (Regular Session, 1982), c. 1228. §§ 105-45 through 46: Repealed by Session Laws 1996, Second Extra Session, c.14, s. 17. § 105-47: Repealed by Session Laws 1979, c. 69. § 105-48: Repealed by Session Laws 1979, c. 67. § 105-48.1: Repealed by Session Laws 1981, c. 7. § 105-49: Repealed by Session Laws 1989, c. 584, s. 10. § 105-50: Repealed by Session Laws 1996, Second Extra Session, c. 14, s. 17. § 105-51: Repealed by Session Laws 1989, c. 584, s. 12. § 105-51.1: Repealed by Session Laws 1996, Second Extra Session, c. 14, s. 17. § 105-52: Repealed by Session Laws 1979, c. 16, s. 1. §§ 105-53 through 105-55: Repealed by Session Laws 1996, Second Extra Session, c. 14, s. 17. § 105-56: Repealed by Session Laws 1981, c. 5. § 105-57: Repealed by Session Laws 1987 (Reg. Sess., 1988), c. 1081, s. 1. § 105-58: Repealed by Session Laws 1996, Second Extra Session, c. 14, s. 17. § 105-59: Repealed by Session Laws 1981 (Regular Session, 1982), c. 1282, s. 44. §§ 105-60 through 105-61: Repealed by Session Laws 1996, Second Extra Session, c. 14, s. 17. § 105-61.1: Repealed by Session Laws 1989, c. 584, s. 17. § 105-62: Repealed by Session Laws 1996, Second Extra Session, c. 14, s. 17. § 105-63: Repealed by Session Laws 1979, c. 65. § 105-64: Repealed by Session Laws 1989, c. 584, s. 19. § 105-64.1: Repealed by Session Laws 1989, c. 584, s. 19. §§ 105-65 through 105-65.1: Repealed by Session Laws 1996, Second Extra Session, c. 14, s.17. § 105-65.2: Repealed by Session Laws 1989, c. 584, s. 19. § 105-66: Repealed by Session Laws 1989, c. 584, s. 19. § 105-66.1: Repealed by Session Laws 1996, Second Extra Session, c. 14, s. 17. § 105-67: Repealed by Session Laws 1991 (Regular Session, 1992), c. 965, s. 1. § 105-68: Repealed by Session Laws 1981 (Regular Session, 1982), c. 1229. § 105-69: Repealed by Session Laws 1973, c. 1200, s. 1. § 105-70: Repealed by Session Laws 1996, Second Extra Session, c. 14, s. 17. § 105-71: Repealed by Session Laws 1979, c. 70. § 105-72: Repealed by Session Laws 1996, Second Extra Session, c. 14, s. 17. § 105-73. Repealed by Session Laws 1957, c. 1340, ss. 2, 9. § 105-74: Repealed by Session Laws 1996, Second Extra Session, c. 14, s. 17. § 105-75: Repealed by Session Laws 1979, 2nd Session, c. 1304, s. 1. § 105-75.1: Repealed by Session Laws 1996, Second Extra Session, c. 14, s. 17. § 105-76: Repealed by Session Laws 1979, c. 62. § 105-77: Repealed by Session Laws 1996, Second Extra Session, c. 14, s. 17. § 105-78: Repealed by Session Laws 1979, c. 66. § 105-79: Repealed by Session Laws 1979, c. 150, s. 4. § 105-80: Repealed by Session Laws 1996, Second Extra Session, c. 14, s. 17. § 105-81. Repealed by Session Laws 1947, c. 501, s. 2. § 105-82: Repealed by Session Laws 1989, c. 584, s. 24. § 105-83. Installment paper dealers. § 105-84: Repealed by Session Laws 1979, c. 150, s. 5. §§ 105-85 through 105-86: Repealed by Session Laws 1996, Second Extra Session, c. 14, s. 17. § 105-87: Repealed by Session Laws 1981, c. 6. §§ 105-89 through 105-90: Repealed by Session Laws 1996, Second Extra Session, c. 14, s. 17. § 105-90.1: Repealed by Session Laws 1989 (Regular Session, 1990), c. 814, s. 4. § 105-91: Repealed by Session Laws 1996, Second Extra Session, c. 14, s. 17. § 105-92: Repealed by Session Laws 1981 (Regular Session, 1982), c. 1227. § 105-93: Repealed by Session Laws 1979, c. 68. § 105-94. Repealed by Session Laws 1947, c. 501, s. 2. § 105-95. Repealed by Session Laws 1947, c. 831, s. 2. § 105-96: Repealed by Session Laws 1981 (Regular Session, 1982), c. 1231. §§ 105-97 through 105-99: Repealed by Session Laws 1996, Second Extra Session, c. 14, s. 17. § 105-100: Repealed by Session Laws 1979, c. 64. § 105-101: Repealed by Session Laws 1979, c. 85, s. 1. § 105-102: Repealed by Session Laws 1981 (Regular Session, 1982), c. 1230. § 105-102.1: Repealed by Session Laws 1996, Second Extra Session, c. 14, s. 17. § 105-102.2: Repealed by Session Laws 1981 (Regular Session, 1982), c. 1213. § 105-102.3: Repealed by Session Laws 2015-241, s. 32.13(g), as amended by Session Laws 2015-268, s. 10.1(h), effective June 30, 2016. § 105-102.4: Repealed by Session Laws 1989, c. 584, s. 35. § 105-102.5: Repealed by Session Laws 1996, Second Extra Session, c. 14, s. 17. § 105-102.6: Repealed by Session Laws 2015-286, s. 4.11(a), effective October 22, 2015. § 105-103. Unlawful to operate without license. § 105-104: Repealed by Session Laws 2007-491, s. 2, effective January 1, 2008. § 105-105. Persons, firms, and corporations engaged in more than one business to pay tax on each. § 105-106. Effect of change in name of firm. § 105-107: Repealed by Session Laws 1998-95, s. 12, effective July 1, 1999. § 105-108. Property used in a licensed business not exempt from taxation. § 105-109. Obtaining license and paying tax. § 105-109.1. Repealed by Session Laws 1999-337, s.16. § 105-110: Repealed by Session Laws 1998-212, s. 29A.14(b). § 105-111: Repealed by Session Laws 2001-414, s. 2. § 105-112: Repealed by Session Laws 1998-212, s. 29A.14(c). § 105-113. Repealed by Session Laws 1999-337, s. 17. Article 2A - Tobacco Products Tax. § 105-113.3. Scope of tax; administration. § 105-113.4B. Cancellation or revocation of license. § 105-113.4C. Enforcement of Master Settlement Agreement Provisions. § 105-113.4D. Tax with respect to inventory on effective date of tax increase. § 105-113.4E. Modified risk tobacco products. § 105-113.5. Tax on cigarettes. § 105-113.6. Use tax levied. § 105-113.7: Recodified as G.S. 105-113.4D by Session Laws 2009-451, s. 27A.5(b), effective September 1, 2009. § 105-113.8. Federal Constitution and statutes. § 105-113.10. Manufacturers exempt from paying tax. § 105-113.12. Distributor must obtain license. § 105-113.13. Secretary may require a bond or irrevocable letter of credit. §§ 105-113.14 through 105-113.15: Repealed by Session Laws 1991 (Regular Session, 1992), c. 955, s. 6, effective July 15, 1992. § 105-113.16. Repealed by Session Laws 1999-333, s. 7. § 105-113.17. Identification of dispensers. § 105-113.18. Payment of tax; reports. §§ 105-113.19 through 105-113.20: Repealed by Session Laws 1993, c. 442, s. 8. §§ 105-113.22 through 105-113.23: Repealed by Session Laws 1993, c. 442, s. 8. § 105-113.24. Out-of-State distributors to register and remit tax. § 105-113.25: Repealed by Session Laws 1993, c. 442, s. 8. § 105-113.26. Records to be kept. § 105-113.28: Repealed by Session Laws 1993, c. 442, s. 8. § 105-113.29. Unlicensed place of business. § 105-113.30. Records and reports. § 105-113.31. Possession and transportation of non-tax-paid cigarettes; seizure and confiscation of vehicle or vessel. § 105-113.32. Non-tax-paid cigarettes subject to confiscation. § 105-113.34: Repealed by Session Laws 1993, c. 442, s. 8. § 105-113.35. Tax on tobacco products other than cigarettes. § 105-113.36. Wholesale dealer and retail dealer must obtain license. § 105-113.37. Payment of tax. § 105-113.38. Bond or irrevocable letter of credit. § 105-113.40. Records of sales, inventories, and purchases to be kept. § 105-113.40A. Use of tax proceeds. Article 2B - Soft Drink Tax. §§ 105-113.41 through 105-113.67: Repealed by Session Laws 1996, Second Extra Session, c. 13, s. 4.2, effective July 1, 1999. Article 2C - Alcoholic Beverage License and Excise Taxes. § 105-113.69. License tax; effect of license. § 105-113.70. Issuance, duration, transfer of license. § 105-113.71. Local government may refuse to issue license. § 105-113.72: Repealed by Session Laws 1998-95, s. 17. § 105-113.74: Repealed by Session Laws 1998-95, s. 18. § 105-113.75: Repealed by Session Laws 1998-95, s. 19. § 105-113.76: Repealed by Session Laws 1998-95, s. 20. § 105-113.77. City beer and wine retail licenses. § 105-113.78. County beer and wine retail licenses. § 105-113.79. City wholesaler license. § 105-113.80. Excise taxes on beer, wine, and liquor. § 105-113.81A: Repealed by Session Laws 2009-451, s. 14.19(f), effective July 1, 2009. § 105-113.82. Distribution of part of beer and wine taxes. § 105-113.83. Payment of excise taxes. § 105-113.83A. Registration and discontinuance requirements; penalties. § 105-113.84. Report of resident brewery, resident winery, nonresident vendor, or wine shipper permittee. § 105-113.86. Bond or irrevocable letter of credit. § 105-113.87. Refund for excise tax paid on sacramental wine. § 105-113.89. Other applicable administrative provisions. §§ 105-113.90, 105-113.91: Repealed by Session Laws 1985, c. 114, s. 1. § 105-113.92: Repealed by Session Laws 1981, c. 747, s. 25. § 105-113.93: Repealed by Session Laws 1985, c. 114, s. 1. § 105-113.94: Repealed by Session Laws 1975, c. 53, s. 3. §§ 105-113.95 through 105-113.104: Repealed by Session Laws 1985, c. 114, s. 1. Article 2D - Unauthorized Substances Taxes. § 105-113.107. Excise tax on unauthorized substances. § 105-113.108. Reports; revenue stamps. § 105-113.109. When tax payable. § 105-113.110: Repealed by Session Laws 1995, c. 340, s. 1. § 105-113.112. Confidentiality of information. § 105-113.113. Use of tax proceeds. Article 3 - Franchise Tax. § 105-114. Nature of taxes; definitions. § 105-114.1. Limited liability companies. § 105-115. Repealed by Session Laws 1989 (Reg. Sess., 1990), c. 1002, s. 1. § 105-116: Repealed by Session Laws 2013-316, s. 4.1(a), effective July 1, 2014, and applicable to gross receipts billed on or after that date. § 105-116.1: Repealed by Session Laws 2013-316, s. 4.1(a), effective July 1, 2014, and applicable to gross receipts billed on or after that date. §§ 105-117 through 115-118: Repealed by Session Laws 1995 (Regular Session, 1996), c. 646, s. 3. § 105-119: Repealed by Session Laws 2000-173, s. 7. § 105-120: Repealed by Session Laws 2001-430, s. 12, effective January 1, 2002, and applies to taxable services reflected on bills dated on or after January 1, 2002. § 105-120.1: Repealed by Session Laws 2000-173, s. 7. § 105-120.2. Franchise or privilege tax on holding companies. § 105-121: Repealed by Session Laws 1945, c. 752, s. 1. § 105-121.1. (Repealed effective for taxes due on or after April 1, 2017) Mutual burial associations. § 105-122. (Effective for taxable years beginning before January 1, 2017) Franchise or privilege tax on domestic and foreign corporations. § 105-122.1. Credit for additional annual report fees paid by limited liability companies subject to franchise tax. § 105-123: Repealed by Session Laws 1991, c. 30, s. 1. § 105-124. Repealed by Session Laws 1959, c. 1259, s. 9. § 105-126. Repealed by Session Laws 1959, c. 1259, s. 9. § 105-127. When franchise or privilege taxes payable. § 105-128. Power of attorney. § 105-129. Extension of time for filing returns. § 105-129.1: Repealed by Session Laws 1989, c. 582, s. 1. Article 3A - Tax Incentives For New And Expanding Businesses. §§ 105-129.2 through 105-129.13: Repealed effective for business activities occurring on or after January 1, 2007. § 105-129.14: Reserved for future codification purposes. Article 3B - Business and Energy Tax Credits. §§ 105-129.15A, 105-129.16: Repealed by Session Laws 2005-413, ss. 6 and 7, effective September 20, 2005. § 105-129.16A. (See subsections (e) through (h) for sunset provisions) Credit for investing in renewable energy property. § 105-129.16B: Recodified as G.S. 105-129.41 by Session Laws 2002-87, s. 2, as amended by Session Laws 2003-416, s. 1, effective August 22, 2002, and applicable to credits for buildings for which a federal tax credit is first claimed for a taxable year beginning on or after January 1, 2002. § 105-129.16C: Repealed effective for taxable years beginning on or after January 1, 2006. § 105-129.16D. (Repealed effective for facilities placed in service on or after January 1, 2014) Credit for constructing renewable fuel facilities. § 105-129.16E. Expired effective January 1, 2010, pursuant to the terms of former subsection-(d) of this section. § 105-129.16F. (Repealed for taxable years beginning on or after January 1, 2014) Credit for biodiesel producers. § 105-129.16G. (Expiring for taxable years beginning on or after January 1, 2014) Work Opportunity Tax Credit. § 105-129.16H. (For contingent repeal, see subsection (d)) Credit for donating funds to a nonprofit organization or unit of State or local government to enable the nonprofit or government unit to acquire renewable energy property. § 105-129.16I. (Repealed effective for a renewable energy property facility placed in service on or after January 1, 2014) Credit for a renewable energy property facility. § 105-129.16J. Temporary unemployment insurance refundable tax credit. § 105-129.17. Tax election; cap. § 105-129.18. (See Editor's note for repeal) Substantiation. §§ 105-129.20 through 105-129.24. Reserved for future codification purposes. Article 3C - Tax Incentives for Recycling Facilities. § 105-129.27. Credit for investing in major recycling facility. § 105-129.28: Repealed by Session Laws 1998-55, s, 19, effective for taxable years beginning on or after January 1, 2008. §§ 105-129.29 through 105-129.34. Reserved for future codification purposes. Article 3D - Historic Rehabilitation Tax Credits. § 105-129.35. Credit for rehabilitating income-producing historic structure. § 105-129.36. Credit for rehabilitating nonincome-producing historic structure. § 105-129.36A. (See note for repeal) Rules; fees. § 105-129.37. Tax credited; credit limitations. § 105-129.38. (See note for repeal) Report. Article 3E - Low-Income Housing Tax Credits. § 105-129.40. (See Editor's note for repeal) Scope and definitions. § 105-129.41. (See note for repeal) Credit for low-income housing awarded a federal credit allocation before January 1, 2003. § 105-129.42. (See note for repeal) Credit for low-income housing awarded a federal credit allocation on or after January 1, 2003. § 105-129.43. (See Editor's note for repeal) Substantiation. § 105-129.44. (See note for repeal) Report. § 105-129.46: Reserved for future codification purposes. § 105-129.47: Reserved for future codification purposes. § 105-129.48: Reserved for future codification purposes. § 105-129.49: Reserved for future codification purposes. Article 3F - Research and Development. § 105-129.50. (See note for repeal) Definitions. § 105-129.51. (See note for repeal) Taxpayer standards and sunset. § 105-129.52. (See note for repeal) Tax election; cap. § 105-129.53. (See notes) Substantiation. § 105-129.55. (See note for repeal) Credit for North Carolina research and development. § 105-129.56. (Repealed effective for taxable years beginning on or after January 1, 2014) Interactive digital media. § 105-129.57: Reserved for future codification purposes. § 105-129.58: Reserved for future codification purposes. § 105-129.59: Reserved for future codification purposes. Article 3G - Tax Incentives for Major Computer Manufacturing Facilities. § 105-129.60: Repealed by Session Laws 2010-166, s. 2.2, effective July 1, 2010. § 105-129.61: Repealed by Session Laws 2010-166, s. 2.2, effective July 1, 2010. § 105-129.62: Repealed by Session Laws 2010-166, s. 2.2, effective July 1, 2010. § 105-129.63: Repealed by Session Laws 2010-166, s. 2.2, effective July 1, 2010. § 105-129.64: Repealed by Session Laws 2010-166, s. 2.2, effective July 1, 2010. § 105-129.65: Repealed by Session Laws 2010-166, s. 2.2, effective July 1, 2010. § 105-129.65A: Repealed by Session Laws 2010-166, s. 2.2, effective July 1, 2010. § 105-129.66: Repealed by Session Laws 2010-166, s. 2.2, effective July 1, 2010. § 105-129.67: Reserved for future codification purposes. § 105-129.68: Reserved for future codification purposes. § 105-129.69: Reserved for future codification purposes. Article 3H - Mill Rehabilitation Tax Credit. § 105-129.70. (See note for repeal) Definitions. § 105-129.71. (See note for repeal) Credit for income-producing rehabilitated mill property. § 105-129.72. (See note for repeal) Credit for nonincome-producing rehabilitated mill property. § 105-129.73. (See note for repeal) Tax credited; cap. § 105-129.74. (See note for repeal) Coordination with Article 3D of this Chapter. § 105-129.75A. (See note for repeal) Report. § 105-129.76. Reserved for future codification purposes. § 105-129.77. Reserved for future codification purposes. § 105-129.78. Reserved for future codification purposes. § 105-129.79. Reserved for future codification purposes. Article 3J - Tax Credits for Growing Businesses. § 105-129.80. (See notes) Legislative findings. § 105-129.81. (See notes) Definitions. § 105-129.82. (See notes) Sunset; studies. § 105-129.84. (See notes) Tax election; cap; carryforwards; limitations. § 105-129.85. (See notes) Fees and reports. § 105-129.86. (See notes) Substantiation. § 105-129.87. (See notes) Credit for creating jobs. § 105-129.88. (See notes) Credit for investing in business property. § 105-129.89. (See notes) Credit for investment in real property. § 105-129.90. Reserved for future codification purposes. § 105-129.91. Reserved for future codification purposes. § 105-129.92. Reserved for future codification purposes. § 105-129.93. Reserved for future codification purposes. § 105-129.94. Reserved for future codification purposes. Article 3K - Tax Incentives for Railroad Intermodal Facilities. § 105-129.95. (Repealed for taxable years beginning on or after January 1, 2038 - see note) Definitions. § 105-129.96. (Repealed for taxable years beginning on or after January 1, 2038 – see note) Credit for constructing a railroad intermodal facility. § 105-129.97. (Repealed for taxable years beginning on or after January 1, 2038 - see note) Substantiation. § 105-129.98. (Repealed for taxable years beginning on or after January 1, 2038 - see note) Report. § 105-129.100: Reserved for future codification purposes. § 105-129.101: Reserved for future codification purposes. § 105-129.102: Reserved for future codification purposes. § 105-129.103: Reserved for future codification purposes. § 105-129.104: Reserved for future codification purposes. Article 3L - Historic Rehabilitation Tax Credits Investment Program. § 105-129.105. (See note for repeal) Credit for rehabilitating income-producing historic structure. § 105-129.106. (See note for repeal) Credit for rehabilitating non-income-producing historic structure. § 105-129.107. (See note for repeal) Rules; fees. § 105-129.108. (See note for repeal) Tax credited; credit limitations. § 105-129.109. (See note for repeal) Report; tracking. Article 4 - Income Tax. § 105-130.3. (Effective for taxable years beginning on or after January 1, 2016, and before January 1, 2017) Corporations. § 105-130.3B: Expired pursuant to its own terms, effective for taxable years beginning on or after January 1, 2011. § 105-130.3C: Repealed by Session Laws 2017-57, s. 38.5(c), effective June 28, 2017. § 105-130.4. (Effective for taxable years beginning before January 1, 2017) Allocation and apportionment of income for corporations. § 105-130.5. Adjustments to federal taxable income in determining State net income. § 105-130.5A. Secretary's authority to adjust net income or require a combined return. § 105-130.5B. Adjustments when State decouples from federal accelerated depreciation and expensing. § 105-130.6: Repealed by Session Laws 2011-390, s. 1, effective for taxable years beginning on or after January 1, 2012. § 105-130.6A. (Repealed effective for taxable years beginning on or after January 1, 2016) Adjustment for expenses related to dividends. § 105-130.7: Repealed by Session Laws 2003-349, s. 1.1, effective January 1, 2003. § 105-130.7A. Royalty income reporting option. § 105-130.7B. (Effective for taxable years beginning on or after January 1, 2016) Limitation on qualified interest for certain indebtedness. § 105-130.8. (Repealed effective for taxable years beginning on or after January 1, 2015) Net economic loss. § 105-130.8A. (Effective for taxable years beginning on or after January 1, 2015) Net loss provisions. § 105-130.10. (Repealed effective for taxable years beginning on or after January 1, 2016) Amortization of air-cleaning devices, waste treatment facilities and recycling facilities. § 105-130.10A. Amortization of equipment mandated by OSHA. § 105-130.11. Conditional and other exemptions. § 105-130.12. Real estate investment trusts. § 105-130.13: Repealed by Session Laws 1987 (Regular Session, 1988), c. 1089, s. 2; as amended by Session Laws 1989, c. 728, s. 1.33. § 105-130.14. Corporations filing consolidated returns for federal income tax purposes. § 105-130.15. Basis of return of net income. § 105-130.17. Time and place of filing returns. § 105-130.18: Repealed by Session Laws 2009-445, s. 7, effective August 7, 2009. § 105-130.19. When tax must be paid. § 105-130.20. Federal determinations and amended returns. § 105-130.21. Information at the source. § 105-130.22: Repealed by Session Laws 2013-316, s. 2.1(b), effective for taxable years beginning on or after January 1, 2014. § 105-130.23. Repealed by Session Laws 1999-342, s. 1, effective for taxable years beginning on or after January 1, 2000. § 105-130.24. Repealed by Session Laws 1983 (Regular Session, 1984), c. 1004, s. 2. § 105-130.25. Credit against corporate income tax for construction of cogenerating power plants. § 105-130.26. Repealed by Session Laws 1999-342, s. 1, effective for taxable years beginning on or after January 1, 2000. § 105-130.27A. Repealed by Session Laws 1999-342, s. 1, effective for taxable years beginning on or after January 1, 2000. § 105-130.28: Repealed by Session Laws 2000-128, s. 3, effective for costs incurred during taxable years beginning on or after January 1, 2006. §§ 105-130.29 through 105-130.33. Repealed by Session Laws 1999-342, s. 1. § 105-130.34: Repealed by Session Laws 2013-316, s. 2.1(b), effective for taxable years beginning on or after January 1, 2014. § 105-130.35: Recodified as § 105-269.5 by Session Laws 1991, c. 45, s. 20. §§ 105-130.36, 105-130.37: Repealed by Session Laws 2013-316, s. 2.1(b), effective for taxable years beginning on or after January 1, 2014. § 105-130.38: Repealed by Session Laws 1996, Second Extra Session, c. 14, s. 1. § 105-130.39: Repealed by Session Laws 2013-316, s. 2.1(b), effective for taxable years beginning on or after January 1, 2014. § 105-130.40: Recodified as § 105-129.8 by Session Laws 1996, 2nd Extra Session, c. 13, s. 3.2. § 105-130.41: Repealed pursuant to the terms of former subsection (d) of this section, effective for taxable years beginning on or after January 1, 2014. § 105-130.42: Recodified as §§ 105-129.35 through 105-129.37 by Session Laws 1999-389, ss. 2-4, effective for taxable years beginning on or after January 1, 1999. §§ 105-130.43, 105-130.44: Repealed by Session Laws 2013-316, s. 2.1(b), effective for taxable years beginning on or after January 1, 2014. § 105-130.45. (Repealed effective January 1, 2018) Credit for manufacturing cigarettes for exportation. § 105-130.46. (See notes for expiration date) Credit for manufacturing cigarettes for exportation while increasing employment and utilizing State Ports. § 105-130.47. (Repealed for qualifying expenses occurring on or after January 1, 2015) Credit for qualifying expenses of a production company. § 105-130.48: Repealed pursuant to former subsection (f) of this section, effective for taxable years beginning on or after January 1, 2014. § 105-131. Title; definitions; interpretation. § 105-131.1. Taxation of an S Corporation and its shareholders. § 105-131.2. Adjustment and characterization of income. § 105-131.3. Basis and adjustments. § 105-131.4. Carryforwards; carrybacks; loss limitation. § 105-131.5. Part-year resident shareholder. § 105-131.7. Returns; shareholder agreements; mandatory withholding. § 105-132: Recodified as § 105-135 by Session Laws 1967, c. 1110, s. 3. § 105-133. (Recodified for taxable years beginning on or after January 1, 2014 - see editor's note) Short title. § 105-134. (Recodified for taxable years beginning on or after January 1, 2014 - see editor's note) Purpose. § 105-134.1: Recodified as G.S. 105-153.3 by Session Laws 2013-316, s. 1.1(a), effective for taxable years beginning on or after January 1, 2014. § 105-134.2: Repealed by Session Laws 2013-316, s. 1.1(b), effective for taxable years beginning on or after January 1, 2014. § 105-134.2A: Expired pursuant to its own terms, effective for taxable years beginning on or after January 1, 2011. § 105-134.3: Repealed by Session Laws 2013-316, s. 1.1(b), effective for taxable years beginning on or after January 1, 2014. § 105-134.4: Repealed by Session Laws 2011-145, s. 31A.1(d), effective for taxable years beginning on or after January 1, 2012. § 105-134.5: Recodified as G.S. 105-153.4 by Session Laws 2013-316, s. 1.1(a), effective for taxable years beginning on or after January 1, 2014. § 105-134.6: Repealed by Session Laws 2013-316, s. 1.1(b), effective for taxable years beginning on or after January 1, 2014. § 105-134.6A: Repealed by Session Laws 2013-316, s. 1.1(b), effective for taxable years beginning on or after January 1, 2014. § 105-134.8: Repealed by Session Laws 2013-316, s. 1.1(b), effective for taxable years beginning on or after January 1, 2014. §§ 105-135 through 105-149: Repealed by Session Laws 1989, c. 728, s. 1.3. § 105-150. Repealed by Session Laws 1973, c. 1287, s. 5. § 105-151. (Recodified effective for taxable years beginning on or after January 1, 2014) Tax credits for income taxes paid to other states by individuals. § 105-151.1: Repealed by Session Laws 2013-316, s. 1.1(b), effective for taxable years beginning on or after January 1, 2014. § 105-151.2. Repealed by Session Laws 1999-342, s. 1, effective for taxable years beginning on or after January 1, 2000. § 105-151.3. Repealed by Session Laws 1983 (Regular Session 1984), c. 1004, s. 2. § 105-151.4: Repealed by Session Laws 1989, c. 728, s. 1.8. § 105-151.5. Repealed by Session Laws 1999-342, s. 1, effective for taxable years beginning on or after January 1, 2000. § 105-151.6A: Repealed by Session Laws 1989, c. 728, s. 1.11. §§ 105-151.7 through 105-151.10: Repealed by Session Laws 1999-342, s. 1, effective for taxable years beginning on or after January 1, 2000. § 105-151.11: Repealed by Session Laws 2013-316, s. 1.1(b), effective for taxable years beginning on or after January 1, 2014. § 105-151.12: Repealed by Session Laws 2013-316, s. 1.1(b), effective for taxable years beginning on or after January 1, 2014. § 105-151.13: Repealed by Session Laws 2013-316, s. 1.1(b), effective for taxable years beginning on or after January 1, 2014. § 105-151.14: Repealed by Session Laws 2013-316, s. 1.1(b), effective for taxable years beginning on or after January 1, 2014. § 105-151.15: Repealed by Session Laws 1996, 2nd Extra Session, c. 14, s. 1. § 105-151.16: Repealed by Session Laws 1989, c. 728, s. 1.21. § 105-151.17: Recodified as § 105-129.8 by Session Laws 1996, 2nd Extra Session, c. 13, s. 3.4. § 105-151.18: Repealed by Session Laws 2013-316, s. 1.1(b), effective for taxable years beginning on or after January 1, 2014. § 105-151.19: Repealed by Session Laws 1996, 2nd Extra Session, c. 14, s. 2. § 105-151.20: Repealed by Session Laws 2013-316, s. 1.1(b), effective for taxable years beginning on or after January 1, 2014. § 105-151.21: Repealed by Session Laws 2013-316, s. 1.1(b), effective for taxable years beginning on or after January 1, 2014. § 105-151.22: Repealed pursuant to former subsection (d) of this section, effective for taxable years beginning on or after January 1, 2014. § 105-151.23: Recodified as §§ 105-129.35 through 105-129.37 by Session Laws 1999-389, s. 6, effective for taxable years beginning on or after January 1, 1999. § 105-151.24: Recodified as G.S. 105-153.10 by Session Laws 2013-316, s. 1.1(a), effective for taxable years beginning on or after January 1, 2014. § 105-151.25: Repealed by Session Laws 2013-316, s. 1.1(b), effective for taxable years beginning on or after January 1, 2014. § 105-151.26: Repealed by Session Laws 2013-316, s. 1.1(b), effective for taxable years beginning on or after January 1, 2014. § 105-151.27: Repealed by Session Laws 2001-424, s. 34.21(a), effective for taxable years beginning on or after January 1, 2001. § 105-151.28: Repealed pursuant to former subsection (d) of this section, effective for taxable years beginning on or after January 1, 2014. § 105-151.29. (Repealed for qualifying expenses occurring on or after January 1, 2015) Credit for qualifying expenses of a production company. § 105-151.30: Repealed pursuant to former subsection (d) of this section, effective for taxable years beginning on or after January 1, 2014. § 105-151.31: Repealed pursuant to former subsection (c) of this section, effective for taxable years beginning on or after January 1, 2014. § 105-151.32: Repealed pursuant to former subsection (c) of this section, effective for taxable years beginning on or after January 1, 2014. § 105-151.33: Repealed by Session Laws 2013-316, s. 1.1(b), effective for taxable years beginning on or after January 1, 2014. § 105-152. (Recodified for taxable years beginning on or after January 1, 2014 - see editor's note) Income tax returns. § 105-152.1: Repealed by Session Laws 1991 (Regular Session, 1992), c. 930, s. 12. § 105-153. Repealed by Session Laws 1967, c. 1110, s. 3. § 105-153.4. (Effective for taxable years beginning before January 1, 2015) North Carolina taxable income defined. § 105-153.5. Modifications to adjusted gross income. § 105-153.6. Adjustments when State decouples from federal accelerated depreciation and expensing. § 105-153.7. Individual income tax imposed. § 105-153.8. Income tax returns. § 105-153.9. Tax credits for income taxes paid to other states by individuals. § 105-153.10. (Repealed effective for taxable years beginning on or after January 1, 2018) Credit for children. § 105-154. Information at the source returns. § 105-155. Time and place of filing returns; extensions; affirmation. § 105-156: Repealed by Session Laws 2009-445, s. 7, effective August 7, 2009. § 105-156.1: Repealed by Session Laws 1989, c. 728, s. 1.28. § 105-157. When tax must be paid. § 105-158. Taxation of certain Armed Forces personnel and other individuals upon death. § 105-159. Federal determinations and amended returns. § 105-159.1: Repealed by Session Law 2013-38.1(e), effective July 1, 2013. § 105-159.2: Repealed by Session Laws 2013-360, s. 21.1(c), as amended by Session Laws 2014-3, s. 14.15, and Session Laws 2013-381, s. 38.1(f), effective July 1, 2013. § 105-160.2. Imposition of tax. § 105-160.4. Tax credits for income taxes paid to other states by estates and trusts. § 105-160.6. Time and place of filing returns. § 105-160.7. When tax must be paid. §§ 105-161 through 105-163: Repealed by Session Laws 1989, c. 728, s. 1.37. §§ 105-163.01 through 105-163.06: Repealed by Session Laws 1991, c. 45, s. 14(b). § 105-163.07: Recodified as § 105-151.21 by Session Laws 1991, c. 45, s. 14. §§ 105-163.08 through 105-163.09: Repealed by Session Laws 1991, c. 45, s. 14(b). Article 4A - Withholding; Estimated Income Tax for Individuals. § 105-163.010: Repealed pursuant to former G.S. 105-163.015(d), effective for investments made on or after January 1, 2014. § 105-163.011: Repealed pursuant to former G.S. 105-163.015(d), effective for investments made on or after January 1, 2014. § 105-163.012: Repealed pursuant to former G.S. 105-163.015(d), effective for investments made on or after January 1, 2014. § 105-163.013: Repealed pursuant to former G.S. 105-163.015(d), effective for investments made on or after January 1, 2014. § 105-163.014: Repealed pursuant to former G.S. 105-163.015(d), effective for investments made on or after January 1, 2014. § 105-163.015: Repealed pursuant to former G.S. 105-163.015(d), effective for investments made on or after January 1, 2014. § 105-163.1A. Ordained or licensed clergyman may elect to be considered an employee. § 105-163.2. Employers must withhold taxes. § 105-163.2A. Pension payers must withhold taxes. § 105-163.2B.  (Effective for taxable years before January 1, 2015) North Carolina State Lottery Commission must withhold taxes. § 105-163.3. Certain payers must withhold taxes. § 105-163.4. Withholding does not create nexus. § 105-163.5. Employee withholding allowances; certificates. § 105-163.6. When employer must file returns and pay withheld taxes. § 105-163.7. Statement to employees; information to Secretary. § 105-163.8. Liability of withholding agents. § 105-163.9. Refund of overpayment to withholding agent. § 105-163.10. Withheld amounts credited to taxpayer for calendar year. §§ 105-163.11 through 105-163.14: Repealed by Session Laws 1985, c. 443, s. 1. § 105-163.15. Failure by individual to pay estimated income tax; interest. §§ 105-163.17 through 105-163.18: Repealed by Session Laws 1997, c. 109, s. 2. §§ 105-163.19 through 105-163.21. Repealed by Session Laws 1967, c. 1110, s. 4. § 105-163.23. Withholding from federal employees. § 105-163.24. Construction of Article. Article 4B - Filing of Declarations of Estimated Income Tax and Installment Payments of Estimated Income Tax by Corporations. §§ 105-163.25 through 105-163.37: Recodified as §§ 105-163.38 through 105-163.44. Article 4C - Filing of Declarations of Estimated Income Tax and Installment Payments of Estimated Income Tax by Corporations. § 105-163.39. Declarations of estimated income tax required. § 105-163.40. Time for submitting declaration; time and method for paying estimated tax; form of payment. § 105-163.42. Repealed by Session Laws 1985 (Regular Session, 1986), c. 820. § 105-163.44. Repealed by Session Laws 2000-140, s. 66. Article 5 - Sales and Use Tax. § 105-164: Repealed by Session Laws 1957, c. 1340, s. 5. § 105-164.4A: Repealed by Session Laws 2005-276, s. 33.5, effective January 1, 2006. § 105-164.4C. Telecommunications service and ancillary service. § 105-164.4H. Real property contract. § 105-164.5: Repealed by Session Laws 1998-121, s. 2, as amended by Session Laws 1998-217, s. 59. § 105-164.5A: Repealed by Session Laws 1961, c. 1213, s. 3. § 105-164.6. Complementary use tax. § 105-164.6A. Voluntary collection of use tax by sellers. § 105-164.7. Retailer or facilitator to collect sales tax from purchaser as trustee for State. § 105-164.8. Retailer's obligation to collect tax; remote sales subject to tax. § 105-164.9. Advertisement to absorb tax unlawful. § 105-164.10. Retail tax calculation. § 105-164.11. Excessive and erroneous collections. § 105-164.11A. Refund of tax paid on rescinded sale or cancellation of service. § 105-164.11B. Recover sales tax paid. § 105-164.12: Repealed by Session Laws 2001-347, s. 2.11. § 105-164.12A. Electric golf cart and battery charger considered a single article. § 105-164.12B. Tangible personal property sold below cost with conditional contract. § 105-164.12C. Items given away by merchants. § 105-164.13. Retail sales and use tax. § 105-164.13A. Service charges on food, beverages, or prepared food. § 105-164.13B. Food exempt from tax. §§ 105-164.13C, 105-164.13D: Repealed by Session Laws 2013-316, s. 3.4(a), effective July 1, 2014, and applicable to purchases made on or after July 1, 2014. § 105-164.13E. Exemption for farmers. § 105-164.14. Certain refunds authorized. § 105-164.14A. Economic incentive refunds. § 105-164.14B: Repealed pursuant to former subsection (f) of this section, effective for sales made on or after January 1, 2014. § 105-164.15: Repealed by Session Laws 2010-95, s. 13, effective July 17, 2010. § 105-164.15A. Effective date of tax changes. § 105-164.16. Returns and payment of taxes. § 105-164.16A. Reporting option for prepaid meal plans. §§ 105-164.17 through 105-164.18: Repealed by Session Laws 1993, c. 450, ss. 8, 9. § 105-164.19. Extension of time for making returns and payment. § 105-164.20. Cash or accrual basis of reporting. § 105-164.21. Repealed by Session Laws 1987, c. 622, s. 10. § 105-164.21A: Repealed by Session Laws 2013-316, s. 4.1(a), effective July 1, 2014, and applicable to gross receipts billed on or after that date. § 105-164.21B: Repealed by Session Laws 2006-151, s. 9, effective January 1, 2007. § 105-164.22. Record-keeping requirements, inspection authority, and effect of failure to keep records. § 105-164.23: Repealed by Session Laws 2009-451, s. 27A.3(o), effective August 7, 2009. § 105-164.24: Repealed by Session Laws 2009-451, s. 27A.3(o), effective August 7, 2009. § 105-164.25: Repealed by Session Laws 2009-451, s. 27A.3(o), effective August 7, 2009. § 105-164.26. Presumption that sales are taxable. § 105-164.27. Repealed by Session Laws 1961, c. 826, s. 2. § 105-164.27A. Direct pay permit. § 105-164.28. Certificate of exemption. § 105-164.28A. Other exemption certificates. § 105-164.29. Application for certificate of registration by wholesale merchants, retailers, and facilitators. § 105-164.29A. State government exemption process. § 105-164.29B. Information to counties and cities. § 105-164.30. Secretary or agent may examine books, etc. § 105-164.31: Repealed by Session Laws 2009-451, s. 27A.3(o), effective August 7, 2009. § 105-164.32. Incorrect returns; estimate. §§ 105-164.33 through 105-164.34: Repealed by Session Laws 1963, c. 1169, s. 3. § 105-164.35: Repealed by Session Laws 2013-414, s. 14, effective August 23, 2013. § 105-164.36. Repealed by Session Laws 1959, c. 1259, s. 9. § 105-164.37. Bankruptcy, receivership, etc. § 105-164.38. Tax is a lien. § 105-164.41: Repealed by Session Laws 2011-330, s. 38, effective June 27, 2011. § 105-164.42: Repealed by Session Laws 1959, c. 1259, s. 9. § 105-164.42C. Authority to enter Agreement. § 105-164.42D. Relationship to North Carolina law. § 105-164.42G. Effect of Agreement. § 105-164.42H. Certification of certified automated system and effect of certification. § 105-164.42I. Contract with certified service provider and effect of contract. § 105-164.42J. Performance standard for multistate seller. § 105-164.42K. Registration and effect of registration. § 105-164.42L. Liability relief for erroneous information or insufficient notice by Department. § 105-164.43: Repealed by Session Laws 2007-491, s. 2, effective January 1, 2008. § 105-164.43A. (Recodified effective August 8, 2001 - See note) Certification of tax collector software and tax collector. § 105-164.43B. (Recodified effective August 8, 2001 - See note) Contract with Certified Sales Tax Collector. § 105-164.43C: Repealed by Session Laws 2001-347, s. 1.2, effective August 8, 2001. See note. § 105-164.43D. Applicable due date when due date falls on a weekend, holiday, or when the Federal Reserve Bank is closed. § 105-164.44. Penalty and remedies of Article 9 applicable. § 105-164.44A: Repealed by Session Laws 1991, c. 45, s. 18. § 105-164.44B: Repealed by Session Laws 2011-145, s. 13.27(a), effective July 1, 2011. § 105-164.44C: Repealed by Session Laws 2001-424, s. 34.15(a)(1), as amended by Session Laws 2002-126, s. 30A.1, effective July 1, 2002. § 105-164.44D: Repealed by Session Laws 2015-241, s. 2.2(b), effective July 1, 2015. § 105-164.44E. (Repealed effective July 1, 2020) Transfer to the Dry-Cleaning Solvent Cleanup Fund. § 105-164.44F. Distribution of part of telecommunications taxes to cities. § 105-164.44G: Repealed by Session Laws 2013-316, s. 3.1(b), effective January 1, 2014, and applicable to sales made on or after that date. § 105-164.44H. Transfer to State Public School Fund. § 105-164.44J. Supplemental PEG channel support. § 105-164.44K. Distribution of part of tax on electricity to cities. § 105-164.44L. Distribution of part of tax on piped natural gas to cities. § 105-164.44M. Transfer to Division of Aviation. §§ 105-164.45 through 105-164.58: Repealed by Session Laws 1971, c. 77, s. 1. §§ 105-165 through 105-176. Repealed by Session Laws 1957, c. 1340, s. 5. §§ 105-177 through 105-178. Repealed by Session Laws 1951, c. 643, s.5. § 105-179. Repealed by Session Laws 1957, c. 1340, s. 5. § 105-180. Repealed by Session Laws 1951, c. 643, s. 5. § 105-181. Repealed by Session Laws 1957, c. 1340, s. 5. § 105-182. Repealed by Session Laws 1955, c. 1350, s. 19. §§ 105-183 through 105-187: Repealed by Session Laws 1957, c. 1340, s. 5.